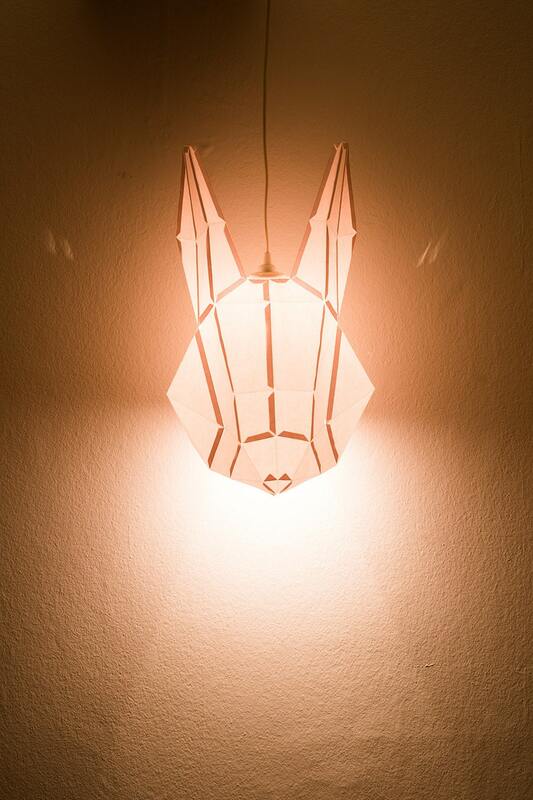 Do it yourself lamp shade for a hanging light. 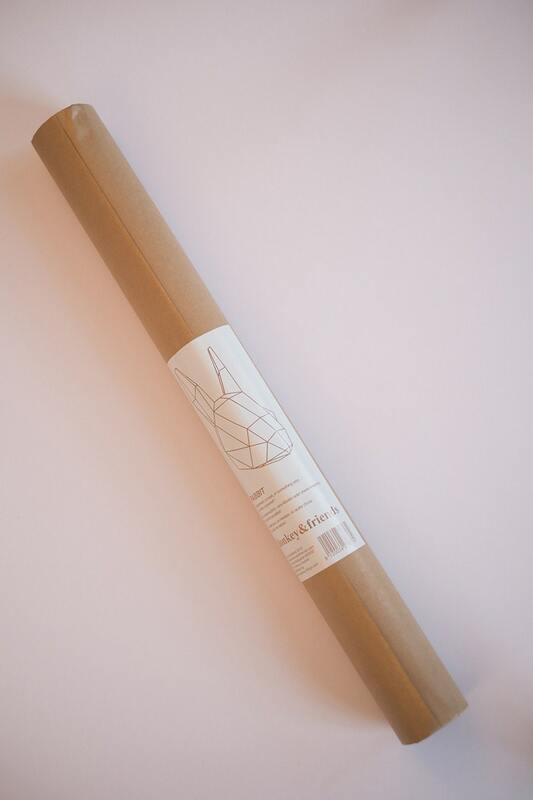 The product is a printout. 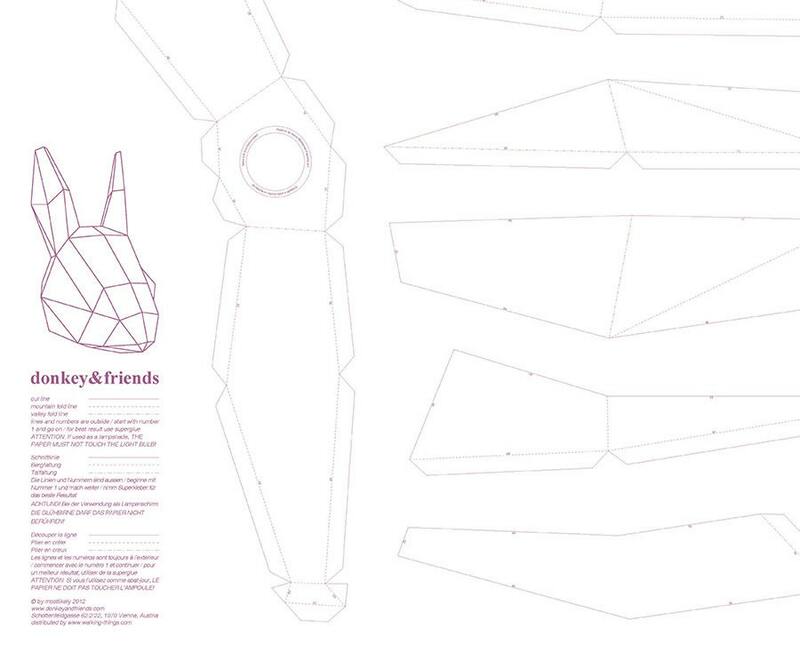 The customer has to cut out, fold and glue the parts together. 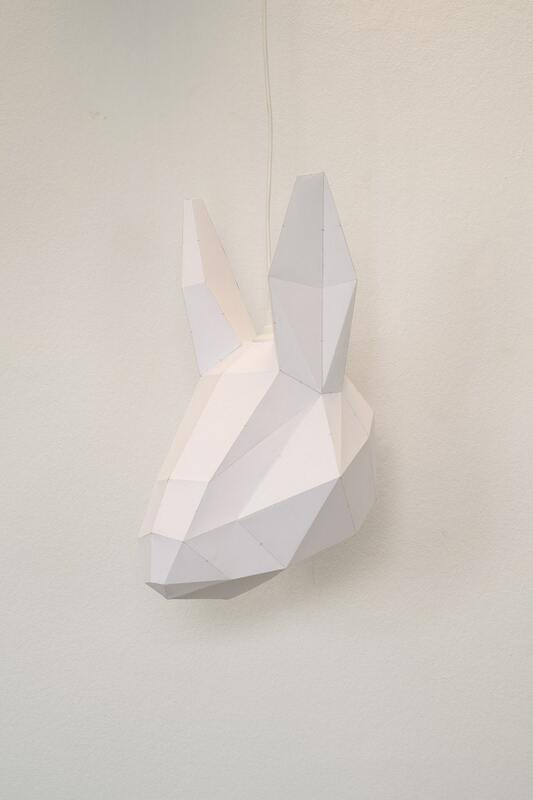 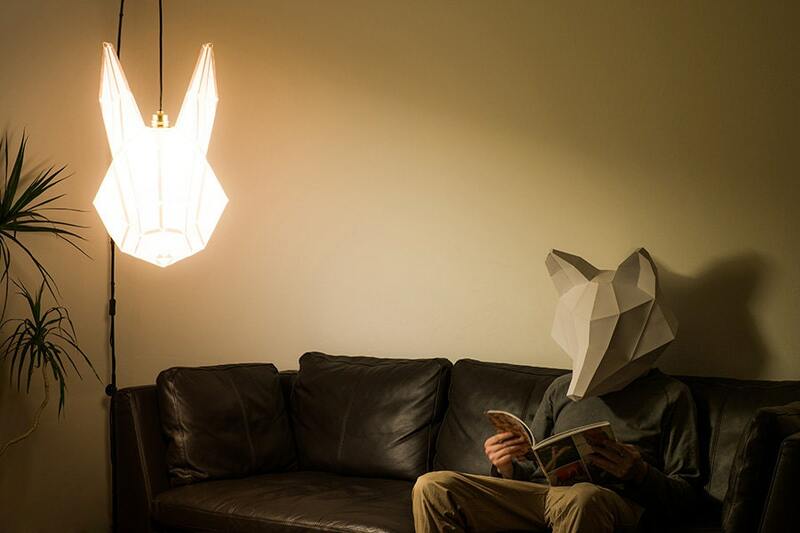 The rabbit can be used as a mask, a lamp shade or something else.